Germany will be the host country for the next biennial American Quarter Horse Association’s Youth World Cup to be held in Kreuth, from July 21-29, 2012. This event, first held in Australia in 1986 as the International Youth Quarter Horse World Cup, has become one of the most prestigious equine competitions recognized world wide. It is a major initiative of the CQHA to field a youth team for this competition which is held every two years. The CQHA Youth World up Committee is pleased to announce that it has chosen ten qualified youth participants from all across Canada, for Team Canada 2012. 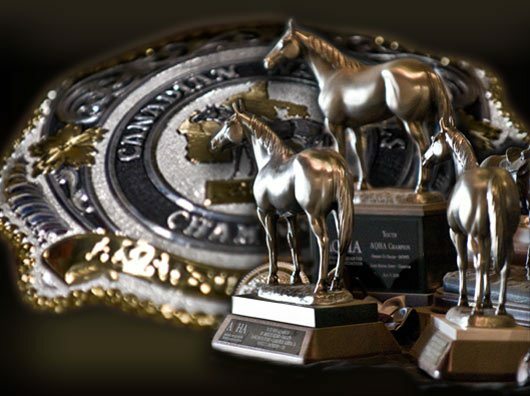 For more information regarding the Canadian Quarter Horse Association, including Team Canada’s participation at the 2012 AQHA Youth World Cup, visit the CQHA web site and check out the Youth World Cup links. Joannie, an 18-year-old from Carlsbad Springs, Ontario, started showing horses when she was just five. She has had the advantage of riding a wide variety of young horses, many of which were raised by her family. She has also had the fortune of showing numerous Quarter Horses in many events since 2007. Over the past couple of years, Joannie has achieved awards including being a semi-finalist and a finalist at the All American Quarter Horse Congress, numerous regional top ten finishes, earning an OQHA Supreme Championship, earning her AQHA Youth Championship, and receiving many AQHA , OQHA and EOQHA year-end high point awards. When not in the show pen, Joannie is busy breaking and training horses that are being raised on her family farm. She has enjoyed volunteering with the Take a Horse to School program (in connection with the Children’s Wish Foundation) and with her area Quarter Horse association. While enjoying activities such as hip hop dance, and swimming, her true passion is horses. Joannie looks forward to bringing her skills and experience to Team Canada as she rides for her country in Germany. Quinn is a 15-year-old from Steinbach, Manitoba. She started riding lessons at the age of five and has been involved with horses ever since. Quinn became involved in 4-H at a young age and has since shown dressage and jumping and has grown to be a top competitor in the Quarter Horse circuits in the all-round events. Her skill in the show ring has been recognized with numerous open and youth Manitoba year end awards, winning the top Youth Exhibitor at the 2011 Manitoba 50/50 Futurity as well as being a Canadian National Champion and Reserve Champion.Quinn is active in her community. She enjoys a wide variety of sports including volleyball, basketball, badminton and ringette. When not competing in school sports, Quinn is often found volunteering for the other school teams or helping at one of the school sponsored volunteer events. Quinn has also spent time volunteering with her local 4H and at events sponsored by her church. Quinn’s strong leadership skills and her dedication to all that she does makes Quinn an ideal member of Team Canada. 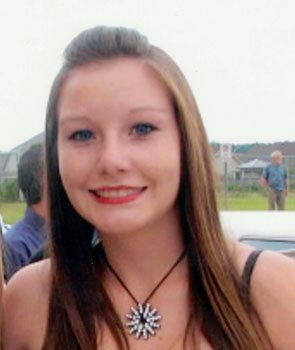 Carly is 18-years-old and from Caledon, Ontario. She has been riding since the age of six. By the age of ten, her parents bought her first horse and she staring competing at the open shows. Shortly after, Carly got her second horse when she was 14 years old and started competing competitively. In this short period of time, Carly has been very successful in competing in both English and Western events. Carly has placed in the top 10 at the All American Quarter Horse Congress, was tied for Ontario Rookie of the Year (2010) and received many reserve and champion area year-end awards. Carly’s horse showing success has carried over into other areas of her school life as well, where she has received many academic achievement awards. Carly has also found the time to volunteer by tutoring other students, participating in studies at The Hospital for Sick Children, assisting with school orientations, and helping out at Brownie Camps. Carly is looking forward to the experience of a lifetime: representing Team Canada at the 2012 Youth World Cup. Rianna returns to Team Canada for the 2012 Youth World Cup. She was a rider for Team Canada at the2010 Youth World Cup and successfully helped lead Canada to an impressive 6 th place overall, while proudly winning a silvermedal in the horsemanship class herself. Rianna is an 18-year- old from Cambridge, Ontario. She has been showing Quarter Horses for many years. She started in the lead-line classes as a young girl and has now developed into a competent, well-versed horsewoman in many events. Rianna’s abilities in the show ring have led to many awards such as Congress Champion, Youth AQHA Supreme Champion, two-time Youth AQHA Performance Champion and three-time Provincial All-Round Champion. Some of her 2011 accomplishments include earning an AQHA Championship, earning four Superior Champion awards and qualifying for three events for the AQHA World Show. Outside the show ring, Rianna volunteers for her provincial Quarter Horse Association. 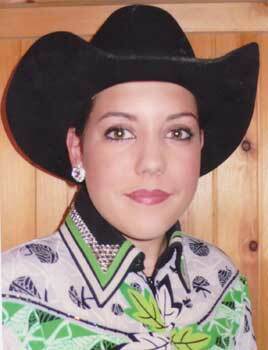 She has been a director for the Ontario Quarter Horse Youth Association and has been the vice-president since 2009. She also volunteers on a weekly basis at Sunrise Therapeutic Riding Centre. Rianna looks forward to be competing in Germany and to being Team Canada’s biggest fan. 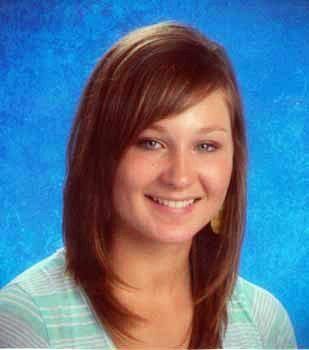 Haley is an outgoing 15-year-old from Aldgergrove, British Columbia. She has been riding both English and Western all of her life and currently loves showing cutters and hunter/ jumpers. She has won many awards both in the hunter/jumper events and the cutting ring; including being the BCRCHA Junior Youth Champion for 2010, the 2010 AQHA Regional Cutting Junior Youth Champion, and most recently the BCQHA 2011 Youth Year End Champion. Her success in the cutting ring multiplies itself in the hunter/jumper ring. Haley also enjoys dancing, volleyball and basketball. She volunteers on a regular basis in numerous capacities. 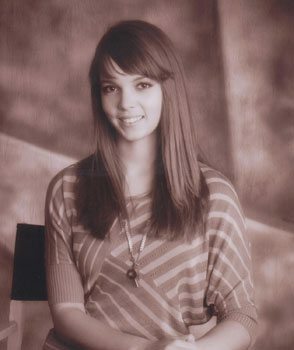 Haley is the one that is always there to lend a helping hand as she is the one to go the extra mile to help others out. 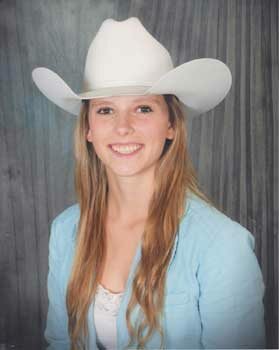 One of Haley’s goals is to represent Canada at the 2012 AQHA Youth World Cup in Kreuth, Germany.Her positive and caring attitude, compassion for others and her kind-heartedness has helped make this goal a reality. Amanda is a 15-year-old from Pritchard, British Columbia. She has been riding since she was in diapers and has become an accomplished young rider. Amanda has experienced success in the AQHA all around events, as well as the cutting pen. This past year saw Amanda as the AQHA Region One Youth All Around Champion as well as the BCCHYA Youth Champion. When away from the Quarter Horse shows, Amanda keeps busy participating in school events. She has been on the school volleyball and basketball teams, as well as serving on her school council. She has also been an active member of her local 4-H for the past four years. Amanda is excited to use her leadership skills as she joins her teammates in representing Canada in the 2012 Youth World Cup. 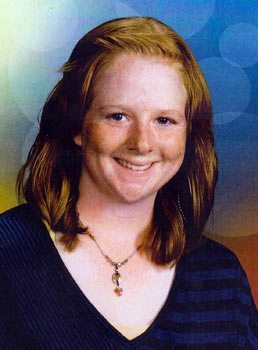 Anika is a 17-year-old from Stellarton, Nova Scotia. She has been riding for ten years and has earned numerous awards with AQHA, including an AQHA youth championship, winning numerous Maritime Quarter Horse high point awards, as well as being the Maritime all round youth. Anika has also had the privilege for riding for the Maritime youth team at the All American Quarter Horse Congress. When not in the show pen, Anika is busy helping out at her trainer’s farm breaking and riding a wide variety of horses. While away from the barn, Anika is busy volunteering with the Rotary Interact Club at school, being the co-editor of theNorth Nova Education Centre yearbook committee, being a team leader for Kids for Bowling, participating in various fundraising runs, and being a member of MQHYA board. Anika is excited to bring her skills and knowledge to Germany as she is part of a team that will represent Canada at its best. Laura Anne is a 15-year-old from Paris, Ontario. She has shown Quarter Horses for the last couple of years and has had the privilege of showing at the All American Quarter Horse Congress. Laura Anne’s favorite class to show is hunter under saddle but has also shown in all-round events in AQHA shows and in her area saddle club. She has also been on the Ontario Saddle Club Youth Team Tournament for the past four years and enjoys working and showing as a team. When not busy with her horse, Laura Anne attends Paris District High School where she is an active member of her students’ council. She has also volunteered for numerous school activities and is busy on the council of the Big Creek, Ancaster and Norfolk saddle club. Laura Anne looks forward to bringing her strong leadership skills and her determination and perseverance to her team as she represents Canada at the Youth World Cup. 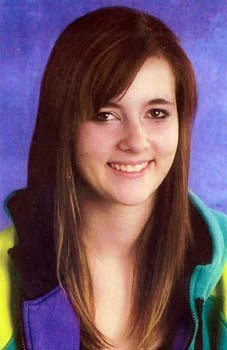 Stefanie is an 18-year-old from Rivers, Manitoba. She has been riding since she was five, starting with lessons on jumper ponies, then riding with a reining trainer, and then participating in her local 4-H equine club. 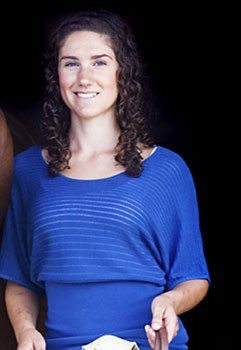 In 2007, Stefanie became involved showing at provincial Quarter Horse shows and has worked her way to becoming the young horsewoman she is today. Stefanie enjoyed instant success in the AQHA show pen and has earned herself numerous Manitoba year end awards, numerous circuit championships in Manitoba and Minnesota and multiple top ten placings at the Canadian Nationals. 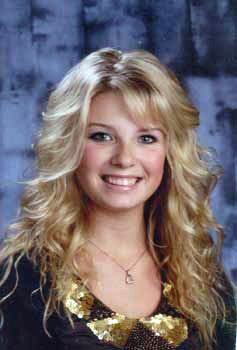 When not showing, Stefanie is continuing her studies as an accomplished pianist, working on her family farm, training dogs and volunteering with numerous animal clinics, a puppy daycare facility, and with her 4-H club. Stefanie is looking forward to bringing her skills to Team Canada and helping the team to do the best it can. 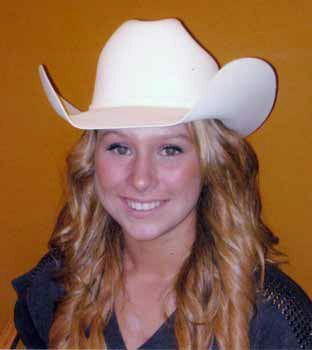 Brittany is an 18-year- old from Balcarres, Saskatchewan. She attended her first Quarter Horse show in 2006, entering the Grassroots classes. Although she has had the chance to ride many horses, it was not until 2008 that she was able to get her first Quarter Horse and has been showing it since. Brittany has won sportsmanship awards with SQHA, was highpoint Grassroots youth, SHF Heritage Circuit reserve champion in Western, champion in English, and was western and English champion in the Youth Equestrian Tournament Mane Meltdown. This is Brittany’s last year as a youth exhibitor, but it is only the beginning of her future endeavours. Brittany spends much of her “non-horse” time volunteering in her community. She helps out with the local 4-H club, plays piano and is a Ukrainian dancer; talents she enjoys using to help entertain the people at her town’s integrated Care Centre, she helps instruct young Ukrainian dancers, is part of her school student council, and is a referee for volleyball games. Brittany is thrilled to bring her skills and enthusiasm to Germany as Team Canada in such a prestigious event. Team Canada Coach Della Cryderman has been breeding, training and showing Quarter Horses for over thirty years and presently owns and operates a equine training facility. Her focus for Cryderman Training Stables is to prepare horses and their exhibitors for national and international competition. While the majority of the horse/rider combinations that she coaches show American Quarter Horse circuits, she also coaches several dressage and jumping horses/riders. Cryderman has travelled and shared her knowledge with riders who have committed to furthering their skills, and given many clinics ranging from first time riders to numerous youth and amateurs who became AQHA Superior Award winners, AQHA Champions, AQHA Versatility Champions, All-American Congress and AQHA World Show finalists. Cryderman’s daughter, Jessie Godin was a gold-medalist member of Team Canada while competing at the Youth World Cup hosted by Australia in 2004. Cryderman served as President of the Thunder Bay Quarter Horse Club for 15 years and as President of the North Superior Quarter Horse Council for 10 years. Team Canada Manager Karen Westerback has been involved with Quarter Horses for approximately 20 years and competes as an amateur on AQHA show circuits in Canada and the U.S. She has achieved two AQHA Amateur Superior Awards and is an AQHA Amateur Champion. Westerback is employed as a Youth Services residential worker for youth who are at risk with the law, helping to develop therapeutic plans for release from custody. She has served her local Quarter Horse associations over the years as Secretary, Vice-President and Youth Advisor, and has been actively involved in major fund-raising events and organizing. In the past year, she has acquired a new role as a ring steward for several large AQHA show circuits including the Minnesota Corporate Challenge and the Bob Yanz Masters.